The first of an annual series of events dedicated to the socioeconomic impact of blockchain technology was held last month. Here are the details. 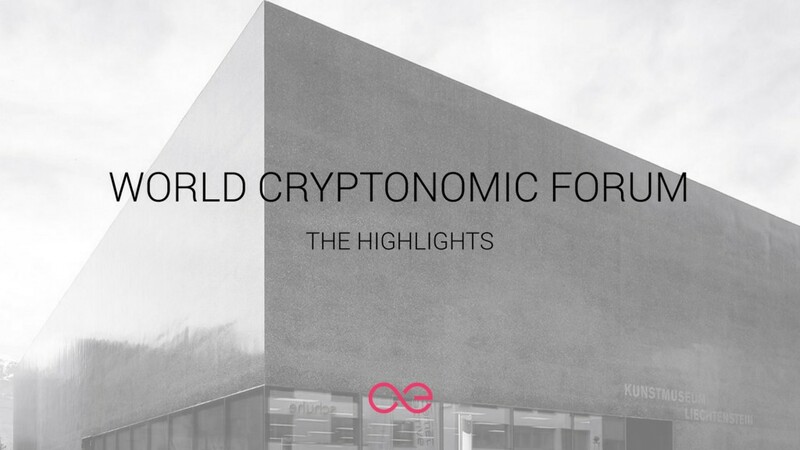 The first edition of the World Cryptonomic Forum in Vaduz kicked off on January 26, 2019, at the CAFÉ im Kunstmuseum with an opening presentation by the founder of æternity blockchain Yanislav Malahov. We established the World Cryptonomic Forum in order to create a place where people can come together on an annual basis to discuss the future social-economic impact of blockchain technology on global society. Malahov emphasized that we live in a time of change. He pointed out that it has finally become possible to exchange digital value across the internet trustlessly, efficiently and without censorship. One thing is certain: Blockchains are here to stay and are now an integral part of the web. We believe that [blockchain] technology can and will have a transformational impact on society. The æternity Foundation will be a catalyst of this process by supporting community growth, blockchain-focused education, and research and development. Liechtenstein is designed for blockchain technology. The technology and Liechtenstein, both, have the right to self-determination. This is a principle that’s been written into the [Liechtenstein] constitution in 2003.